7 I did what the Lord said, but before I finished speaking, I heard a rattling noise. The bones were coming together! 8 I saw muscles and skin cover the bones, but they had no life in them. 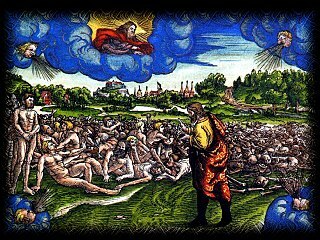 10 As soon as I said this, the wind blew among the bodies, and they came back to life! They all stood up, and there were enough to make a large army.